Digital Responder : What is this role? What do they do? What is a Digital Responder? A Digital Responder (DR) is the first person who will respond to media contacts online in whatever platform the contact chose to provide (i.e Facebook Messenger, SMS texting, Instagram, etc.). There can be one or multiple DRs— depending on the team’s capacity and seeker demand. DRs are aiming to filter the masses of contacts that come through a media source to find or identify potential persons of peace. Media acts like a net that will catch interested, curious, and even combative fish. The DR is the one who will sift through the fish to find the true seekers. And ultimately, the DR is seeking to identify the ones who are persons of peace and who will go on to become multiplying disciples. This DR will prepare the seeker for a face-to-face meeting with a Multiplier offline. From the very first interaction, it is important that the DNA of being multiplying disciples is consistent across ads, digital conversations, and in-life discipleship. What does the Digital Responder do? When a Digital Responder finds someone who is a person of peace, they want to prioritize this person, give them more of their time, and accelerate the hand-off to a Multiplier. In addition to hunting for a person of peace, the Digital Responder will also identify hostile contacts and close them either on the media platform (e.g. Facebook Messenger) or in the disciple management tool (e.g. Disciple.Tools). This is so your coalition of Multipliers are focused on meeting quality contacts rather than disinterested, hostile contacts. Knowing when a contact is ready to be handed off to a Multiplier is more art than science. The more a DR grows in experience and wisdom, the more they will get a feel for when someone is ready. Your DRs are going to have to be okay with trial and error. Listen: Seek to understand their motives for messaging. Go Deeper: Point them towards a testimony video, an article, a passage in Scripture etc. and get their feedback. Don’t be the answer person. Help them to learn how to discover. Cast Vision: Send them to a place on your website (i.e. About Us) where it talks about your DNA of discovering God in the Word, life application, and telling others about it. You want to keep the true seekers moving forward. If a contact messages your page on Facebook Messenger saying, “Hi!” The Digital Responder’s role is to go from “Hi” to understanding why this individual is contacting the page. On Facebook, people are more likely to interact with a page when they know they will get a quick response. Facebook even gives favor to pages that respond quickly. Facebook will display the responsiveness of the page such as the ones below. This might sound obvious but it is important to note. DRs can’t just take days off during an ad campaign. Their timely response is crucial. The longer it takes for a response, the further removed the contact’s interest will become. Jesus told a parable about the Kingdom of God being like a man scattering seed on the ground. “He sleeps and rises night and day, and the seed sprouts and grows; he knows not how… But when the grain is ripe, at once he puts in the sickle, because the harvest has come.” (Mark 4:26-29). God grows the seed, but as God’s co-workers, DRs need to be quick to respond when God is at work and not let ripe fruit rot on the vine. As the demand increases, consider having more than one DR to provide rest for others. The nature of social media is that it is always on, and there is never a time when someone can’t message a page. Consider having your DRs work in shifts. There is a tension between wanting to answer seekers questions and positioning them to find their answers in God’s authoritative Word. How would you answer this question: “Can you explain to me the Trinity?” Centuries of theologians have wrestled with this question and a short Facebook message will probably not suffice. However, no one will be satisfied if you don’t provide some kind of answer to their questions. Ask God for wisdom in how to answer their questions in such a way that does not build them into you and your knowledge, but in to God’s Word and grows their hunger to know more. Digital Responders may be the first person a seeker opens up to and the seeker may latch on to the DR thus becoming reluctant to meet with someone else. It is important that a DR positions themselves as a conduit who will connect them with someone else. Capacity will diminish quickly if 200 people contact the page all wanting to talk to a specific person. This can get quite emotional as well. 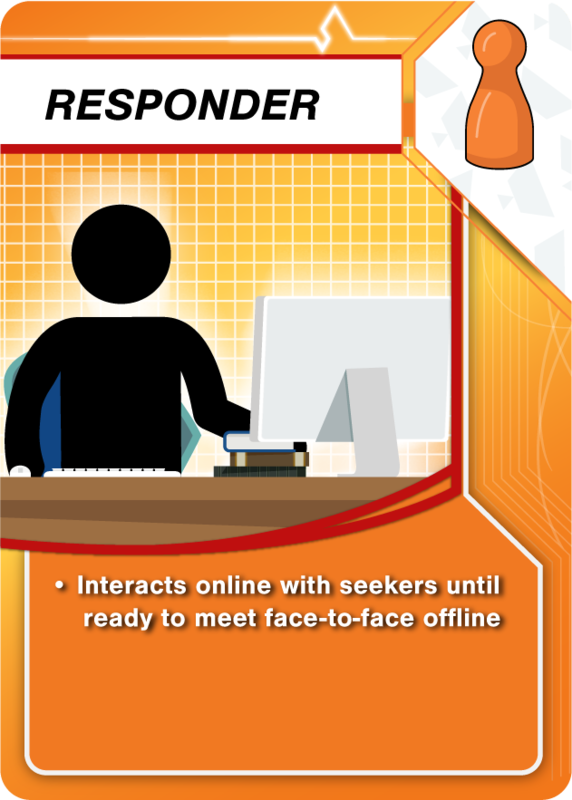 When is a contact ready to meet face-to-face? The seeker’s location, gender, and persona type will need to be taken into consideration. It also depends on the team. What is your team’s capacity? If there are not enough Multipliers, keep the seekers moving forward in digital discovery but don’t keep them there permanently. However, don’t offer them to meet someone offline if there isn’t anyone positioned to do that. If there are plenty of available Multipliers, then it becomes a risk management question. Use your filter and be okay with trial and error. Keep communication going across the entire system. If the Digital Responder decides a seeker is ready for an offline meeting, make sure the Multiplier records and communicates about the first and ongoing meetings. Evaluate the quality of contacts on a recurring basis. The filter may need to change as the team learns. DRs will get better with this over time. Who will make a good Digital Responder? What are risk management best practices? Be careful of the promises and offers you make. Rather than saying, “A Bible will arrive on Tuesday,” say, “A Bible was put in the mail for you today.” You would rather over-deliver than under-deliver on your promises. Spiritually nurture the DRs. Isolation is never good for anyone, much less someone who is being cursed hundreds of times a day online. How does the Responder work with other roles? The Digital Responder will most likely be the first one to know when a website isn’t working, an ad has a glitch, the chatbot is down, or the wrong persona is responding. This valuable info will need to be communicated to all departments. Visionary Leader:. The Visionary Leader could keep motivation and synergy flowing between all the roles. He or she could facilitate a recurring meeting so that all roles can highlight wins and address obstacles. This leader will need to ensure that the right DNA is getting communicated in the promoted content, the private messages, and in the face-to-face meetings. The DRs will need to not only regularly communicate with each other but also with the Visionary Leader. Marketer: The DR will be filtering seekers who have contacted you from the ads they’ve seen or interacted with. The DR will need to know what content is being put out so they can be ready to respond. Syncing needs to be happening back and forth. Dispatcher: The DR will be informing the Dispatcher when a contact is ready for an offline meeting or phone call. The Dispatcher then will find the appropriate Multiplier to meet them in person. Learn more about the roles needed to launch a Media to DMM strategy. What questions do you have about the Digital Responder role? 0 responses on "Digital Responder"